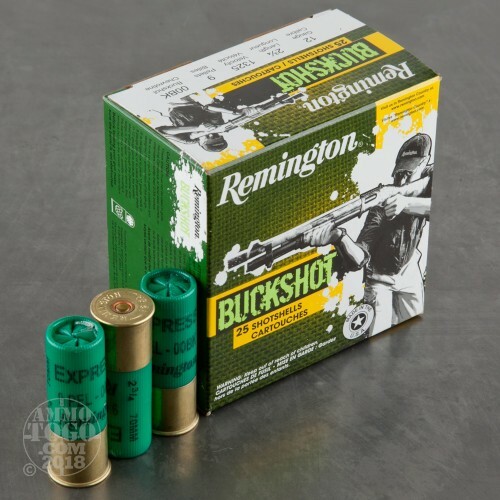 Remington is one of the most recognized and respected names in the shooting world. Best known for its rich history and long line of legendary firearms, Remington continually strikes the perfect balance between tradition and innovation. 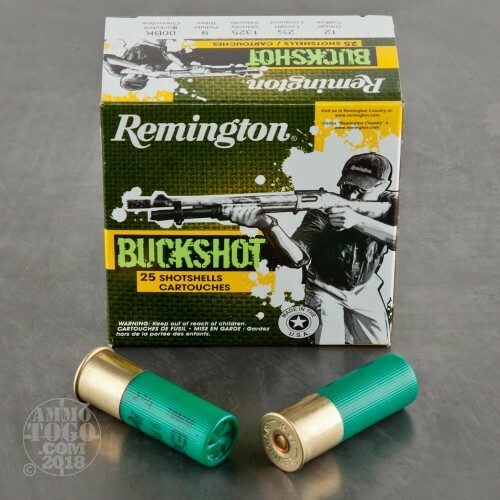 For more than 200 years, Remington has been shaping shooting sports, producing some of the best high-performance ammo on the market today. This package contains 25 rounds of Remington 12 gauge ammunition. 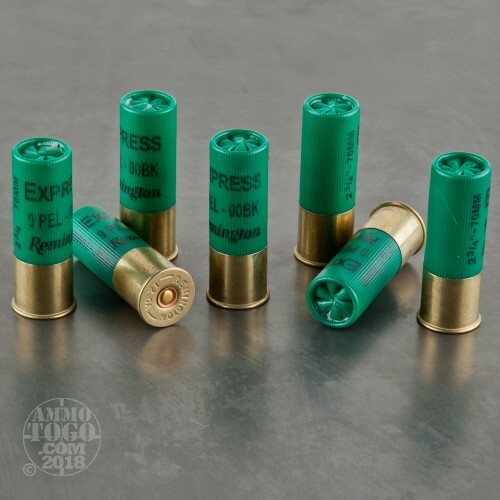 Each factory fresh 2 ¾ inch shotgun shell is loaded with 9 pellets of 00 lead buckshot. 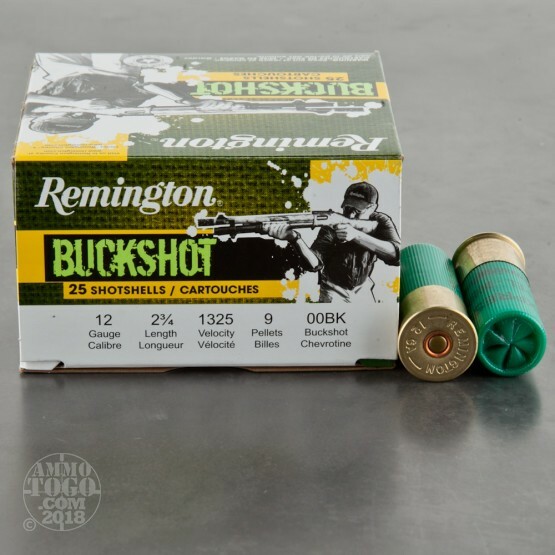 Leaving the muzzle at a consistent velocity of 1325 feet per second, these loads produce effective deer-dropping performance. One of the best values in shotgun deer loads, Remington Express Buckshot features heavy cushioning behind the shot column and a granulated buffering to maintain pellet roundness. The result of tight, even shot patterns.